The United States Sentencing Commission is an independent federal agency in the Judicial Branch of government consisting of seven members appointed by the President and confirmed by the Senate and two non-voting ex-officio members. The agency staff consists of approximately 100 employees. The Commission develops and revises guidelines for federal district court judges to consider in sentencing offenders convicted of federal crimes. The Commission monitors and evaluates the use of the guidelines, conducts research and education programs on guideline application and sentencing matters generally, produces sentencing-related reports, and recommends improvements in federal sentencing practices and policies. The Southern Poverty Law Center offers summer internships to exceptional second-year law students who possess strong academic backgrounds, excellent research and writing skills, and a commitment to public interest law. SPLC’s Miami office works primarily in the areas of children’s rights and mass incarceration. It uses public policy advocacy, legal representation, and community mobilization to ensure that Florida’s juvenile justice and education systems result in positive outcomes for families, children, and communities. The Southern Poverty Law Center offers summer internships to exceptional second-year law students who possess strong academic backgrounds, excellent research and writing skills, and a commitment to public interest law. SPLC’s Jackson, MS office uses public policy advocacy, legal representation, and community organizing to ensure that juvenile justice, educational and mental health system results in positive outcomes for families, children, and communities. Summer interns assist SPLC’s attorneys and advocates with significant legal research and writing, field investigations, client interviews in correctional and mental health facilities, outreach, and public policy advocacy. The Indian Law Resource Center is a non-profit legal advocacy organization dedicated to providing legal advice, assistance, and representation to Indian tribes and indigenous communities throughout the Americas. We are also committed to developing new attorneys in the fields of Indian law and international human rights law. To this end, we offer several fellowship and clerkship opportunities in both our Helena, Montana and Washington, D.C. offices. These fellowship and clerkship opportunities require a minimum eight week commitment and entail legal research and writing on major Indian rights issues related to current projects of the Indian Law Resource Center. The Lewis and Sidley Fellowships both offer a stipend of $3,000 for the term of the Fellowship. Applicants are welcome to supplement this stipend with additional financial support through their law school’s public interest programs or through other public interest scholarships. The John D. B. Lewis Fellowship is a competitive Fellowship awarded each year to a law student who shows particular promise for a career in international indigenous human rights issues. The Terrance A. Sidley Fellowship is a competitive Fellowship awarded each year to a law student who shows particular promise for a career in federal Indian law and international indigenous human rights issues. The Indian Law Resource Center seeks a legal intern for our Washington, DC office for Fall 2015. Knowledge of international and/or federal Indian law and Spanish language skills are preferred but not required. Internships are available for all levels of experience. Applications for the Fall 2015 legal internship are accepted on a rolling basis until positions are filled. Procopio has a long-standing tradition of providing growth opportunities to the communities we serve. Procopio’s Native American Practice Group extends this tradition by actively investing in the future leaders of Indian Country through offering paid internships for Native American law students or law students with an emphasis in Native American law. Please join us in identifying qualified legal students within Native American communities that may be interested in being part of this engaging opportunity. The Native American Law Internship provides an opportunity for a Native American law student, or law student emphasizing Native American Law, to gain hands-on experience dealing with everyday legal issues facing Native American communities. Interns are involved in matters that deal with specific Indian law-related legal practice matters and other legal problems facing tribal governments and Native entities. Procopio Interns reach out to local Native American youth to provide guidance and inspiration regarding educational direction and opportunities. The NAACP Legal Defense and Educational Fund, Inc. (LDF) is currently accepting law student internship applications for Summer 2016. 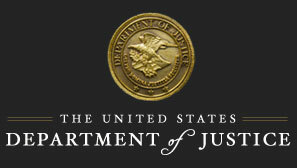 Summer interns will be responsible for legal and policy research, legal writing, policy analysis, monitoring federal legislation and administrative activity, factual investigation, development of educational and outreach material, discovery review, and/or other needs that may arise during the summer. Intern assignments depend on the needs of LDF’s legal and policy staff during the summer months. Summer interns will be exposed to a variety of activity within the largest national civil rights coalition, including a series of brown bag luncheons featuring prominent civil rights and public interest attorneys, attended by interns from numerous non-profit legal organizations. Internships are unpaid and limited in number. Columbia Legal Services seeks a full-time Staff Attorney to work in our Immigrant Workers Group. This position will provide systemic, multi-forum legal advocacy to advance a broad range of legal issues affecting farm and other low-wage workers and their families in Washington. This position will focus primarily on employment, as well as related civil rights and access to equal opportunities in our communities. Planned Parenthood Votes Northwest & Hawaii (PPVNH) is the advocacy and political arm of the four Planned Parenthood affiliates in Alaska, Idaho, Washington and Hawaii. Collectively we advocate for the services that more than 200,000 patients receive at Planned Parenthood health centers in the Pacific Northwest and Hawaiian Islands each year. We work on behalf of all women and men to promote government policies that ensure equal and open access to reproductive health care for women and their families. relations in pursuit of public policies that protect and promote a full range of reproductive health and rights for all the diverse people in Washington’s communities, as well as those policies that make it possible for women, men, and families to access reproductive health services and information. 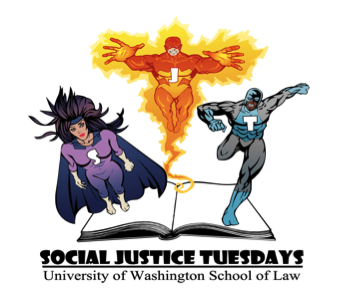 Earthjustice invites 2015 law school graduates and current law school students expecting to graduate before the fall of 2016 to apply for the two-year Healthy Communities Legal Fellowship. The fellowship is based in Earthjustice’s Washington, D.C. office and will begin in September 2016. This Fellowship is designed to help new attorneys develop into thoughtful, professional, and effective legal advocates skilled in the various aspects of public-interest litigation. Attorneys who graduated law school prior to 2015 are encouraged to apply to openings within Earthjustice’s Associate Attorney Program. The term of the Fellowship is two years, after which the Fellow may be considered for open positions in the Associate Attorney Program. Starting salary for the Fellowship is competitive and we offer an excellent benefits package.